ISM is proud to present a brand new product - World Grain Market. WGM is the weekly about grain flows worldwide. Check out the latest commodity and freight news, overviews, fixtures & tenders. Get an online access to the website with more than 250 freight assessments on major grain routes. 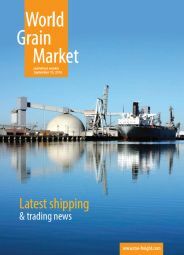 Save $220 subscribing for World Grain Market (weekly pdf report + online access to the website) till September, 30 at only $880 annually!